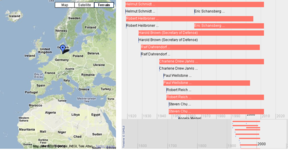 YAGO is a joint project of the Max Planck Institute for Informatics and the Telecom ParisTech University. 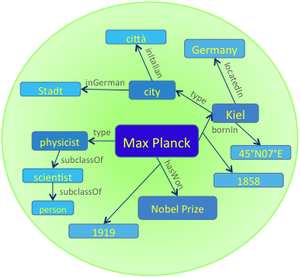 YAGO is a huge semantic knowledge base, derived from Wikipedia WordNet and GeoNames. Currently, YAGO has knowledge of more than 10 million entities (like persons, organizations, cities, etc.) and contains more than 120 million facts about these entities. The accuracy of YAGO has been manually evaluated, proving a confirmed accuracy of 95%. Every relation is annotated with its confidence value. YAGO is an ontology that is anchored in time and space. YAGO attaches a temporal dimension and a spacial dimension to many of its facts and entities. 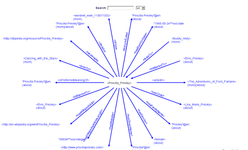 In addition to a taxonomy, YAGO has thematic domains such as "music" or "science" from WordNet Domains. YAGO is developed jointly with the DIG group at Télécom ParisTech University. YAGO goes Open Source! Ten years after the first YAGO publication, the YAGO code is now available for anyone to work with. Get it on GitHub! The YAGO2 paper published in the Artificial Intelligence Journal (AIJ) receives the AIJ Prominent Paper Award. An evaluated version of YAGO3 is available for download. YAGO3 is released for download. The multilingual YAGO3 was accepted for CIDR 2015. The demo about the functionalities of YAGO2s got accepted for WWW 2013. See the webpage for detailed info! The new version of YAGO, YAGO2s, is out! YAGO2s brings a number of exciting novelties. Our journal article on YAGO2 got accepted for the special issue of the AI journal. Conference on Innovative Data Systems Research (CIDR 2015). 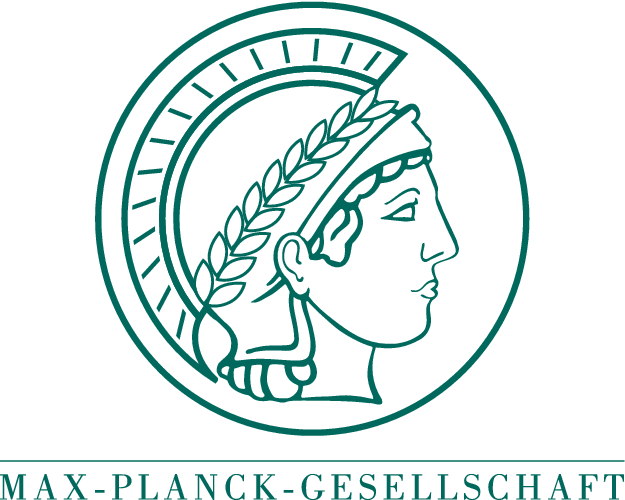 YAGO is part of the YAGO-NAGA project at the Max Planck Institute for Informatics in Saarbrücken/Germany. It is maintained jointly by the Databases and Information Systems Group and the DBWeb team of Télécom ParisTech. Please find more information about YAGO in the tabs above. If you have any questions about the project, please send a mail to NameOfTheOntology@mpi-inf.mpg.de.